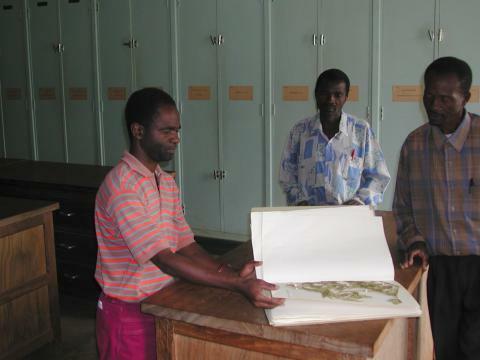 Botanist Innocent Balagezi displays an herbarium sheet from the excellent colleciton of flora housed at the CRSN station in Lwiro, Democratic Republic of the Congo. Photo © John M. Bates / The Field Museum, 2001. 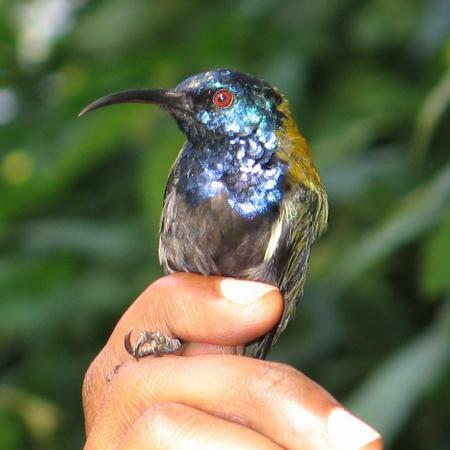 Natural history museums and research stations are a vital part of the community that studies and monitors biodiversity. Both maintain collections. In natural history collections, such as those at The Field Museum, a researcher can study series of specimens from all parts of the world. 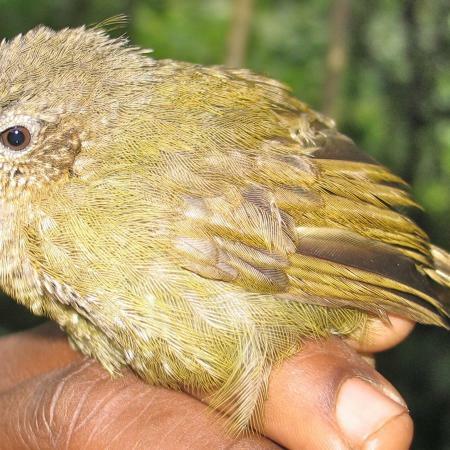 With these collections, researchers answer questions about organisms from the perspective of the species' entire distribution and study related species that may live in other parts of the continent or the world. Research stations are local institutions that usually focus on the particular region where the station is located. 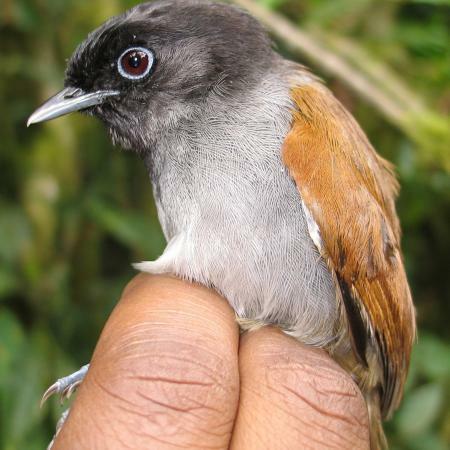 Collections at research stations such as CSRN and CRH in the Democratic Republic of Congo provide comparative material to help researchers working at the stations quickly identify species that they might encounter while studying in the region. Natural history museums contribute to research primarily through their collections. Research stations provide valuable facilities for the research staff and visiting researchers. Long-term studies can be undertaken at these centers. 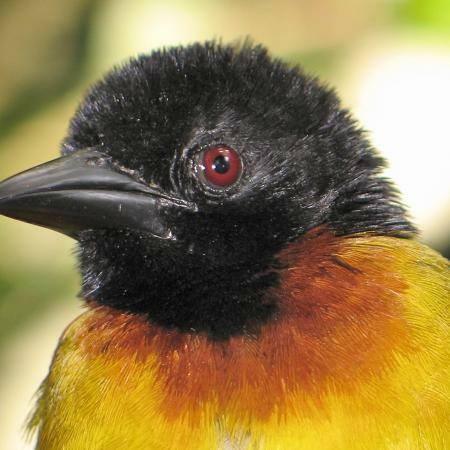 Researchers can map and follow plots or organisms for long periods of time. As a result, research stations are centers for scientific understanding about the floras and faunas around them.